Uncle Tetsu and Hokkaido Baked Cheese Tarts are purveyors of popular (and delicious) Japanese baked cheese tarts. Both stores have recently opened branches in Sydney, Australia, so we tried both in one sitting. Read on to find out where to find the best baked cheese tarts in Sydney. What is a Japanese baked cheese tart? 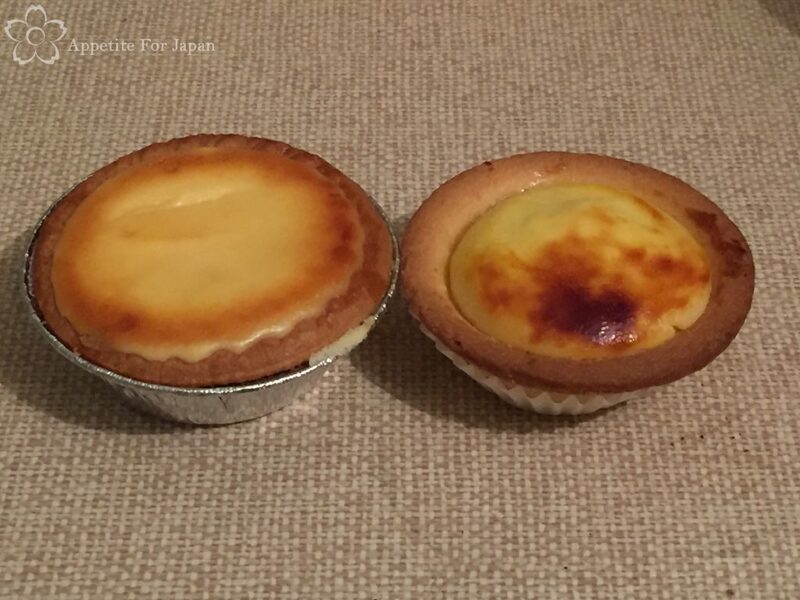 Imagine a cross between a baked cheese cake and an egg tart. Now imagine an egg tart that has cheese cake for its filling, but it’s gooey and creamy and delicious. It’s sweet with a little bit of cheesy tang. I’m not normally a fan of cheese cakes, but I love baked cheese tarts and recently tried Pablo mini cheese tarts in Tokyo too. 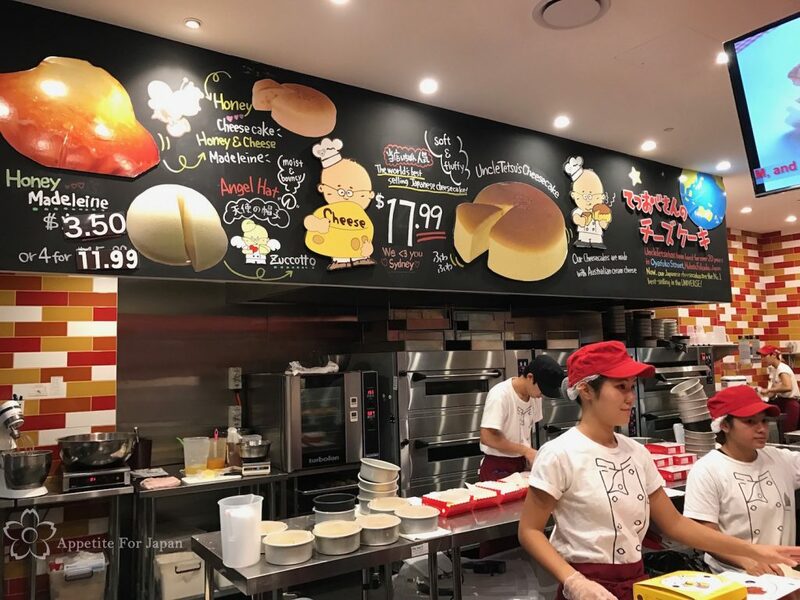 There has been a lot of hype around these two Japanese baked cheese tart stores since they opened in Sydney, especially Uncle Tetsu (pictured above), which is possibly even more famous for it’s larger Japanese cheese cakes. Uncle Tetsu’s cheese tarts originated in the Japanese city of Fukuoka several decades ago, and of course they’re available in Japan too. Uncle Tetsu (above) does not just sell small baked cheese tarts. 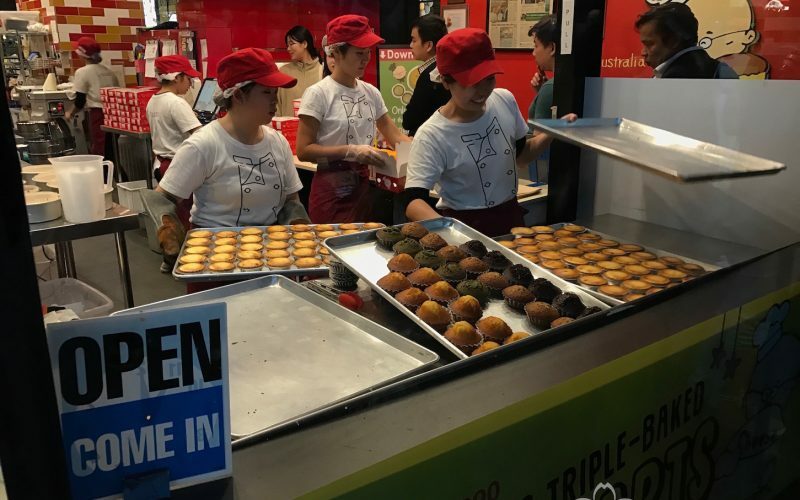 They also sell their famous Japanese cheesecake, known for being uniquely soft and fluffy, as well as Madeleines (essentially a type of non-iced cupcakes) and soft serves and more – all in a variety of flavours (including, of course, matcha). 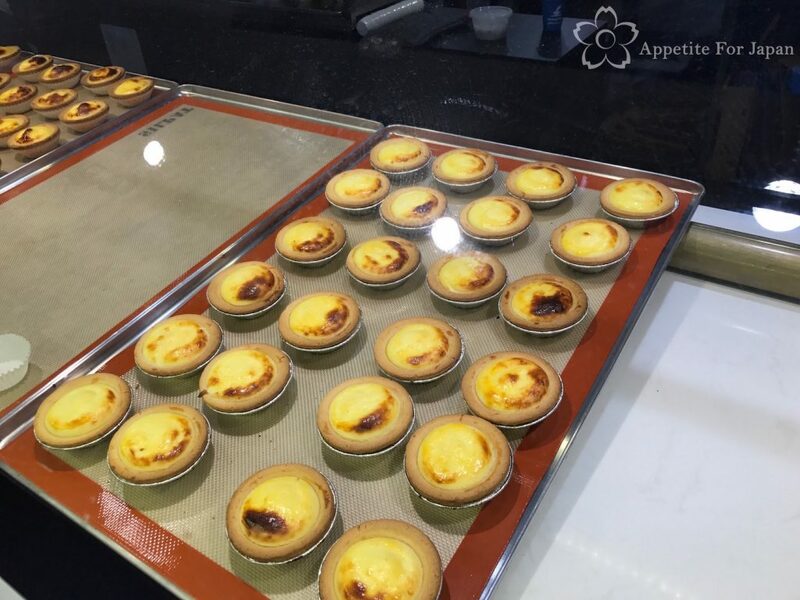 Even the baked cheese tarts come in several flavours, with the original being the most popular. 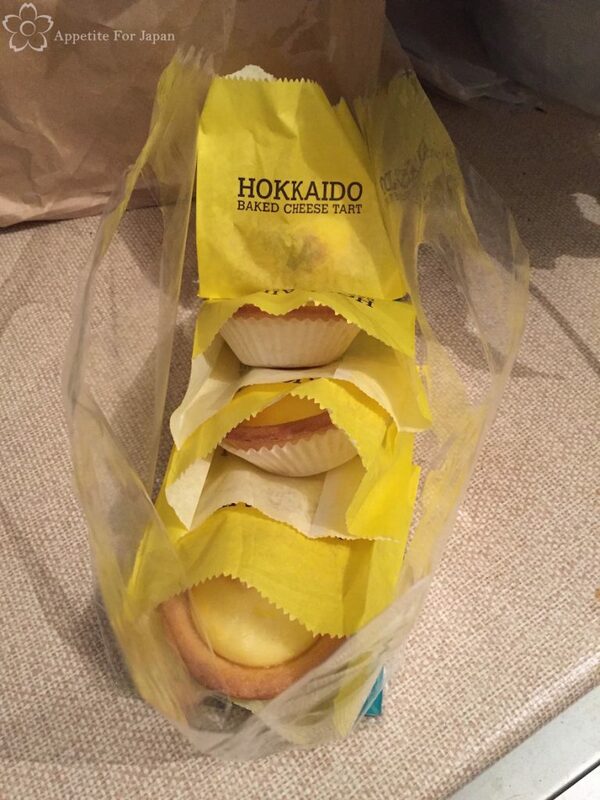 With a name like Hokkaido Baked Cheese Tarts (pictured above), you could be forgiven for assuming that this store originated on the Japanese island of Hokkaido. It’s actually a Malaysian brand, owned by the same company behind the Malaysian food chain, PappaRich. Hokkaido Baked Cheese Tarts (pictured above) may not be Japanese, but they’ve got the whole arbitrary rules down well (if you’ve ever been to Japan, you’ll know what I’m talking about). For example, if you buy five cheese tarts, you can have a box. Any fewer, and you’ll get a bag. Non-negotiable. We’ve only bought two at a time from Uncle Tetsu’s and they always give us a box. Does it really matter? Well, if you’re trying to transport your delicious cheese tarts home from the city on a peak hour train, it’s easier to get them home in one piece in a box. 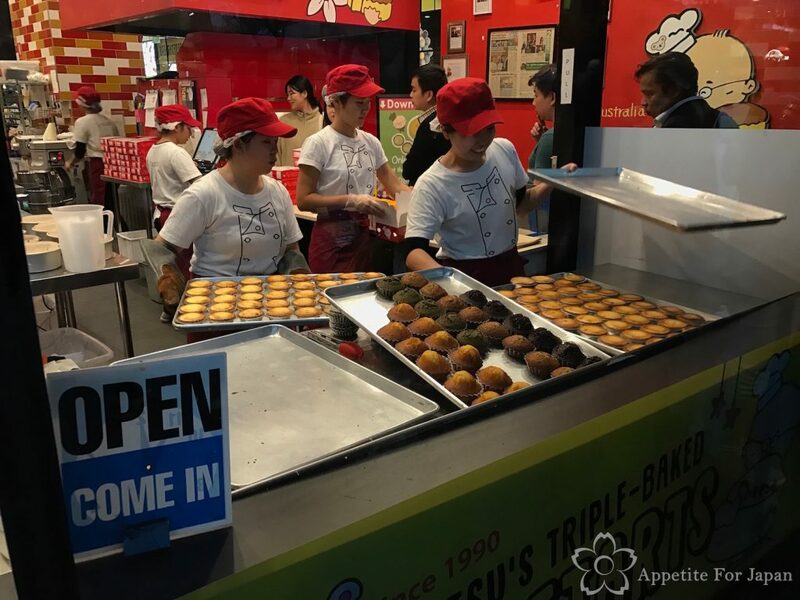 Uncle Tetsu vs Hokkaido Baked Cheese Tarts: which are the best? We tried both in one sitting. Let me start by saying that both cheese tarts are great. 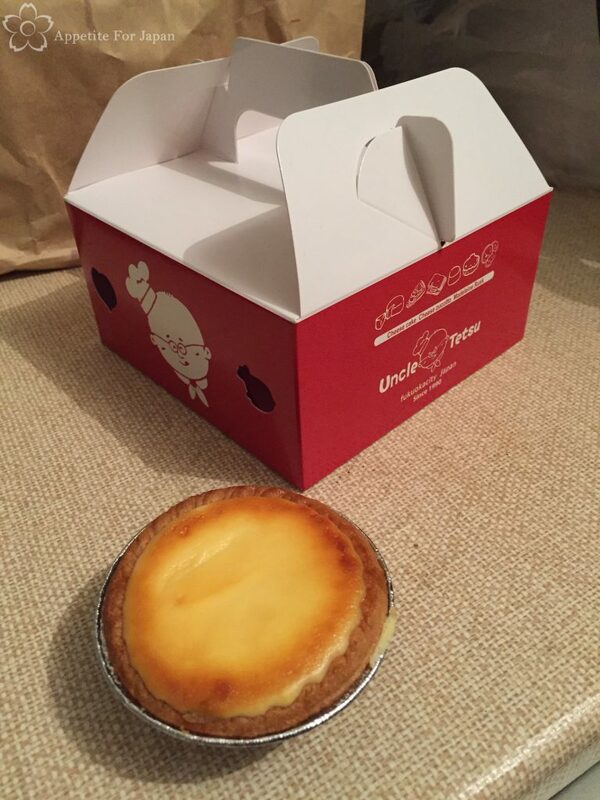 Uncle Tetsu’s baked cheese tarts are slightly larger than Hokkaido Baked Cheese Tarts. This time around (yes, we’ve eaten them more than once), we found that Hokkaido’s were a little more gooey than Uncle Tetsu’s – this is a good thing. However, Uncle Tetsu’s had a bit more flavour and a little more of the cheesy tang. We both liked Uncle Tetsu best, but Hokkaido Baked Cheese Tarts came in a very, very close second. You can’t go wrong either way. Above: Uncle Tetsu Japanese baked cheese tart (left) and Hokkaido Baked Cheese Tart (right). Friends of ours who have had the baked cheese tarts in Sydney as well as in Japan generally agree that Pablo in Japan makes the very best baked cheese tarts. 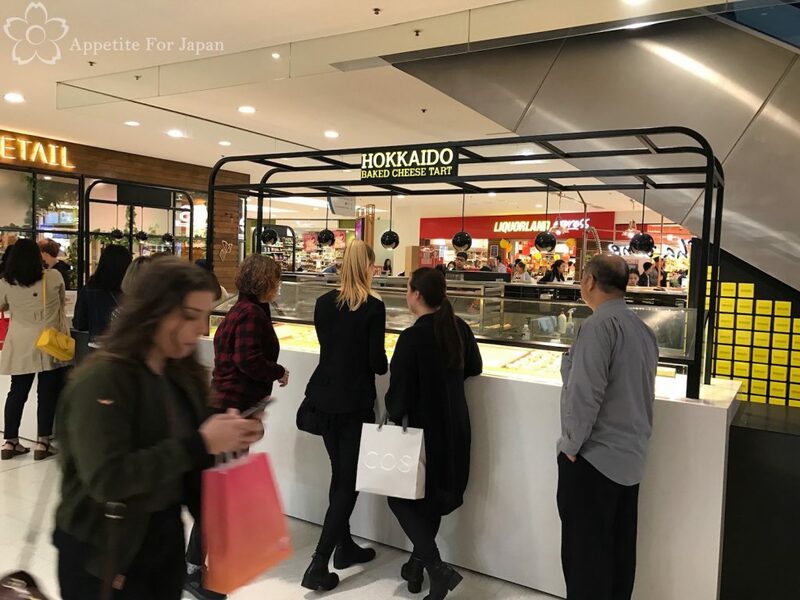 But if you want your Japanese baked cheese tart fix in Sydney, you’ve got two great options with Uncle Tetsu and Hokkaido Baked Cheese Tart.